Something from my bar whenever I feel like it episode CXLsteemCreated with Sketch. Well not really festive but there are Christmas lights in the picture. Not sure if I can even call them Chrismas lights at this point since they have been up year round for over 10 years. Make nice accent lights around the bar so I never take them down. Anyway the big game is getting closer so going with this one. 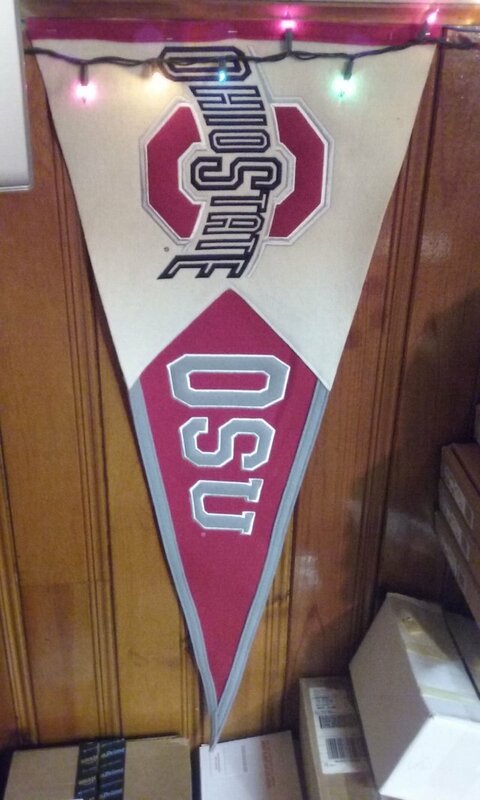 Simple OSU pennant. Had to take the pic on the wall since it's stabled to it.